Journey through the beautifully hand-lettered messages by award-winning illustrator Jessica Hische. 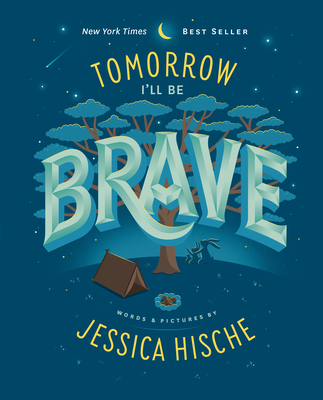 This uplifting and positive book - now a New York Times best seller - encourages kids to promise that tomorrow, they will try new things, do their best, and be brave. Adventurous, Strong, Smart, Curious, Creative, Confident, & Brave. And if I wasn't one of them, I know that it's OK. Journey through a world filled with positive and beautifully hand-lettered words of widsom, inspiration, and motivation. As this book reminds readers, tomorrow is another day, full of endless opportunities--all you have to do is decide to make the day yours. Jessica Hische grew up in Pennsylvania. She currently lives in San Francisco, where she works as a letterer, illustrator, type designer, and relentless procrastiworker. Clients include Wes Anderson, Dave Eggers, The New York Times, Tiffany & Co., OXFAM America, McSweeney's, American Express, Target, Victoria's Secret, Chronicle Books, Nike, and Samsung. website: jessicahische.is | twitter: @jessicahische.